The actual location is very nice with great views of the water. Clean inside and out and the service was buffet style. Food was average but it was a buffet. Thank you for dining with us! If there is anything we may do to create a more enjoyable experience for you, please speak with one of our managers. We are always happy to help! 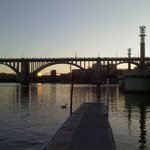 We went out for a family dinner at Calhoun’s on the River. Callie P. was our server and she was great. Great location and atmosphere. Great recommendations, great service and Callie has great personality! 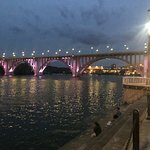 When visiting Knoxville I highly recommend Calhoun’s on the River for the best barbecue and desserts. Be sure and ask for Callie P.
Only the best for our guests! Thank you for joining us! 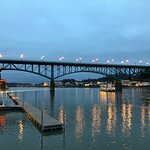 We had lunch at Calhoun’s during our Bassmaster Classic visit to Knoxville. Their reception as a while for the Classic crowd was awesome and we loved being able to see the river while dining. Our waiter was very personable and knowledgeable about the menu and his suggestions were spot on. Their small side salads were delicious as were the wings. 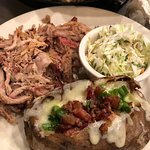 As fans of Bassmaster we truly appreciated all that Calhoun’s did during the week! Thank you for dining with us! We are delighted to hear that your experience was a good one! 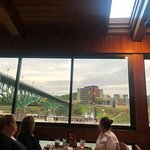 We visited Calhouns for dinner while in Knoxville for The Bassmaster Classic and had a great meal along with great service from our Waitress Kellie. She made it a fun experience. 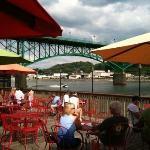 Thank you for choosing our restaurant during your stay in Knoxville for the bass master classic! As always the food at Calhouns was fantastic, however it was much louder than we have been used to at this restaurant. We are somewhat frequent diners there. We were seated in the main part of the restairant, where there were numerous tv's on. One had the news on extremely loud and a few more the basketball selection show, but there was also somewhat loud music playing. Even our server made mention of the distracting loudness of the one particular tv. we asked if she couls rectify the situation, which she attempted to do, to no avail. This caused us tio hurry our meal and get out of there ASAP. Hello, David. 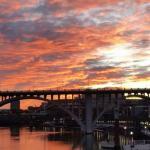 My name is Gretchen and I am a manager at Calhoun's on the River. I would like to apologize that your issues went unaddressed during your most recent visit to our restaurant. We take great pride in creating positive and memorable experiences for all of our guests. We are especially grateful for our regular diners and the relationships that we build with them over time! If I may be of any assistance in the future with similar instances, please don't hesitate to call or ask for a manager to visit your table. We will always be as flexible as possible to suit your needs. 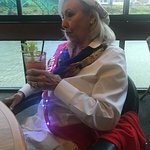 I would love to meet with you next time you join us! 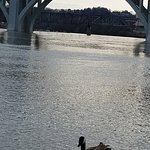 Been to Calhoun's On The River? Share your experiences!